In light of prevailing concerns over rising inflation and business costs, Singapore company registration specialists, Rikvin has developed a Productivity and Innovation Credit (PIC) Claims Chart to help Singapore entrepreneurs and firms enjoy 100% tax savings. Rikvin’s PIC Claims Chart allows Singapore business leaders to quickly grasp how they can achieve those savings and in turn, allocate the relevant resources to that end. The PIC scheme was first announced in 2010 with the aim of spurring skills upgrading and innovation-related activities amongst Singapore enterprises. A year later, the scheme was enhanced and extended to the Year of Assessment (YA) 2015. In gist, the updated scheme allows every Singapore company to enjoy a 400% tax deduction on the first S$400,000 invested in six qualifying productivity-enhancing and innovation activities. Therefore, Singapore firms that plan their productivity and innovation strategies ahead of time stand to reap full tax savings on annual taxable income of up to S$9.6 million. This is possible as they can estimate their taxable income and make provisions for investments in qualifying activities at the time of annual budgeting. “Singapore’s PIC scheme is a perfect aid to businesses as they benefit from enterprise-level growth at little cost to them. Macroscopically, this scheme has immense potential to stimulate Singapore’s domestic economy. In gist, the PIC scheme is valuable as it allows Singapore enterprises to have the cake and eat it too. Therefore, it would be prudent for entrepreneurs to take advantage of this scheme as well. Rikvin’s PIC claims chart clearly illustrates the tangible Singapore corporate tax benefits that firms stand to enjoy,” added Mr. Bakhda. Investment in approved design projects. A tax deduction of 400% on the first S$400,000 spent for each of the six qualifying activities. The qualifying expenditure cap of S$400,000 per year, to be combined during the years 2013 – 2015 to a total of S$1.2m in claimable expenses, allowing businesses to mitigate potential cash flow issues when investing in large research and development projects. The scheme is available for research and development activities conducted outside Singapore. A cash conversion, where a cash payout of 30% can be received by the business for the first S$100,000 of qualifying expenditure in lieu of a tax deduction. This provision will specifically benefit small businesses which pay little or no tax in Singapore but wish to invest to increase productivity. The tax payment to be deferred from tax years 2011 – 2014 when companies incur qualifying PIC expenditure. 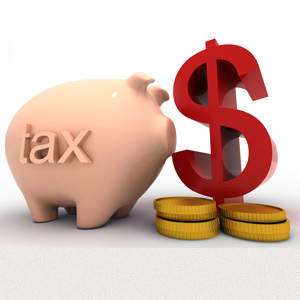 The tax amount that can be deferred will be the lower of the tax payable assessed for the current tax year and the qualifying PIC expenditure incurred in the current financial year, subject to a cap of $100,000.